Shopping for rims near La Puente, CA? Need the best deals on wheels in West Covina? Want an auto repair and tire shop who can also service your wheel needs without having to go too far from City of Industry, CA? We can help. At Perez Wheels & Tires, we stock a wide selection of wheels for customers in La Puente, CA, West Covina, CA, City of Industry, CA, and surrounding areas. We're known for offering performance tires and rims to drivers in our region and we have a reputation for great service. When you stop into our wheel shop, expect only the best. You can start your wheel shopping experience with us by calling our wheel shop or by scheduling an appointment online.You can also start looking for new set of wheels by using our wheel buying guide below. We'll help you consider the advantages and disadvantages of different wheel materials in order to find the best wheel to suit your needs. If you have any questions during your research, simply contact us online or call to speak to a member of our team. We're always up to date on the latest trends in rims and tires. Stop in to see us and see why we're La Puente's favorite wheel and tire shop. 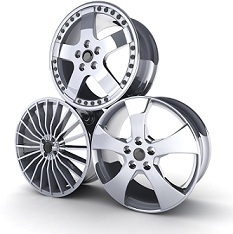 For the best wheel buying experience around, contact us today. Our wheel and tire shop in La Puente is conveniently located and ready to serve you.